The FastScout software features a box score copy and paste function to allow you to paste box score stats into your Stats Database as your season progresses. This feature is ideal for keeping Season Total stats updated for your Personnel and Team Stats topics, rather than having to manually update these stats after each game. To use the Copy and Paste feature, you will first need to open the Stats Database by clicking the Stats menu in the top menu bar and selecting Edit Stats Database. 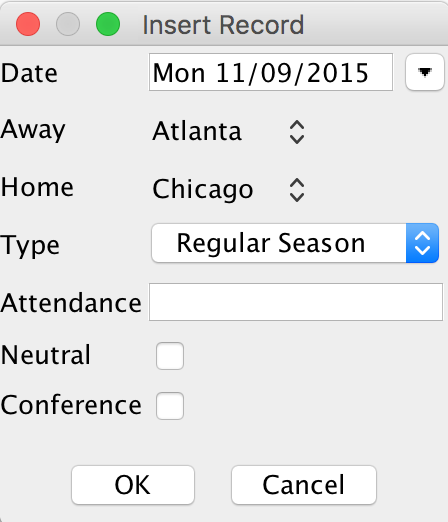 In the Stats Database, you will need to create a game in the Schedule tab for your box score. 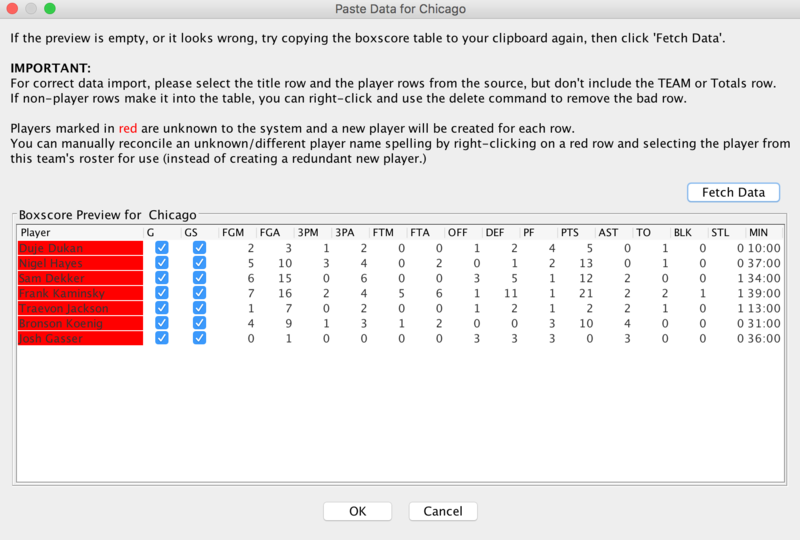 Once a game is created, you can then paste in box score data for either or both teams. 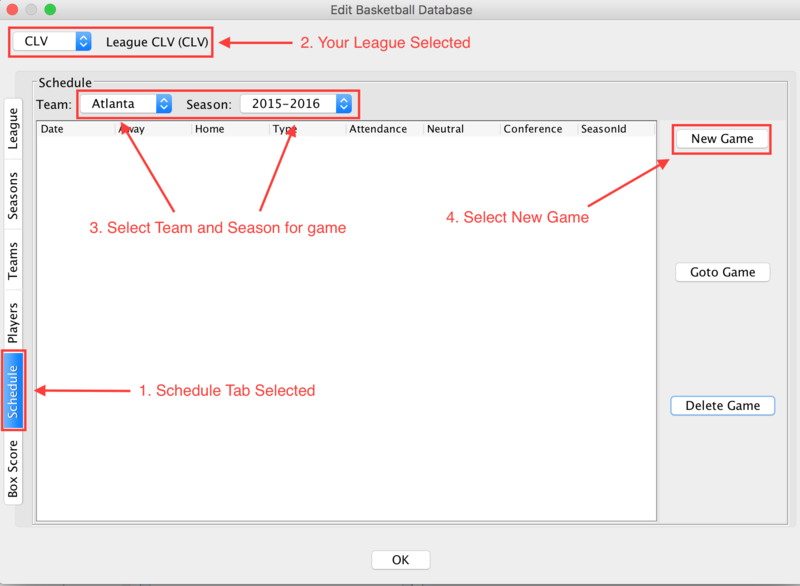 To create a game, open the Schedule tab, and make sure your League, Team, and Season are set to the team you will be adding box score data for. Next, click the New Game button. In the following menu, select the Teams that will be participating in the game for your box score. If you are only pasting in data for one of the two teams playing in the game, feel free to use any team as the second participant in the game, as no information will be applied to that team. 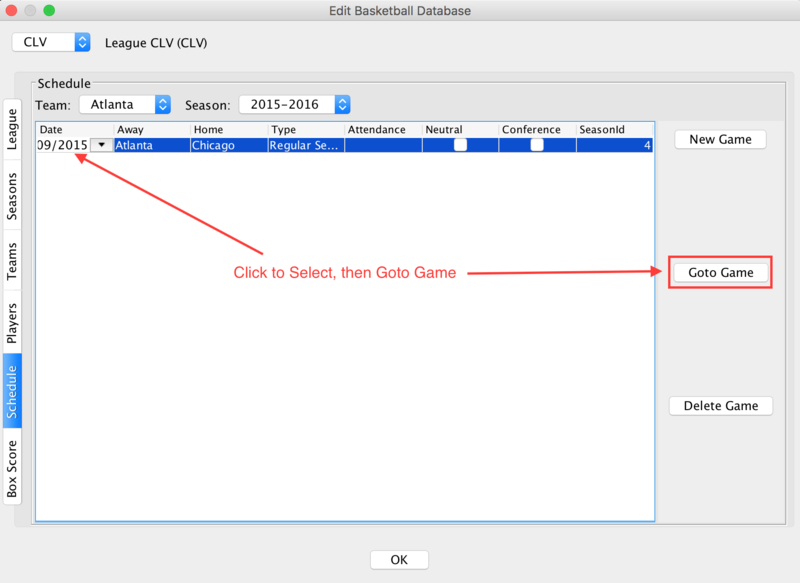 Once your game has been created, navigate to your game box score that you would like to import. 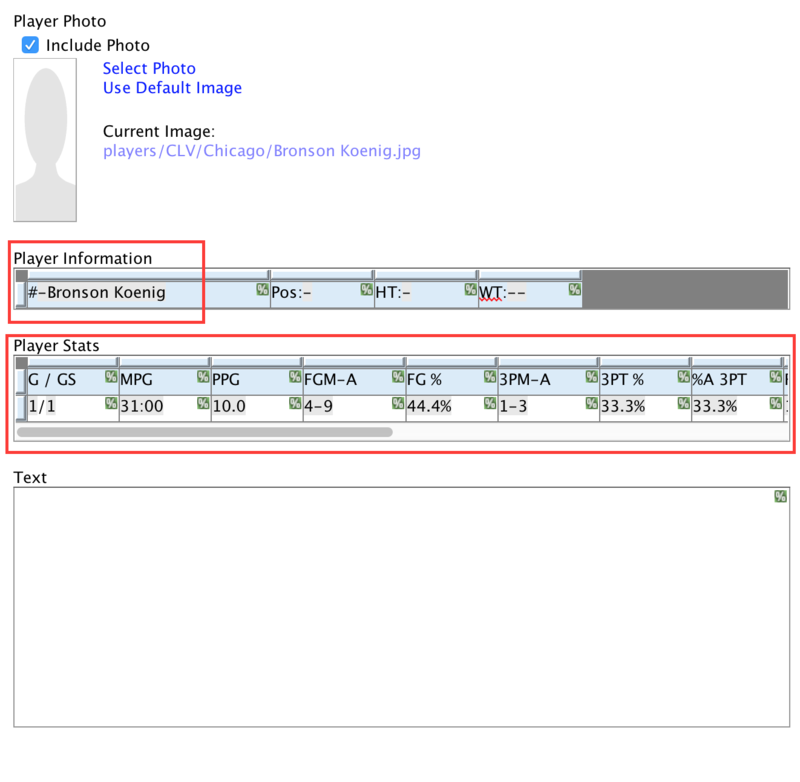 To copy your data in, select the data for each player row, and also for the header row. DO NOT include the bottom team stats row, however. With your box score data copied to your clipboard, find your newly created game and click it to highlight the game, then click the Goto Game button. When your game opens, you can choose which team to paste the copied data to. If your data pastes in correctly, you will see the stat columns filled in for each player in the box score. After your box score data has been entered, you will see this information populated into your stat categories when you create a new scout for the selected team. 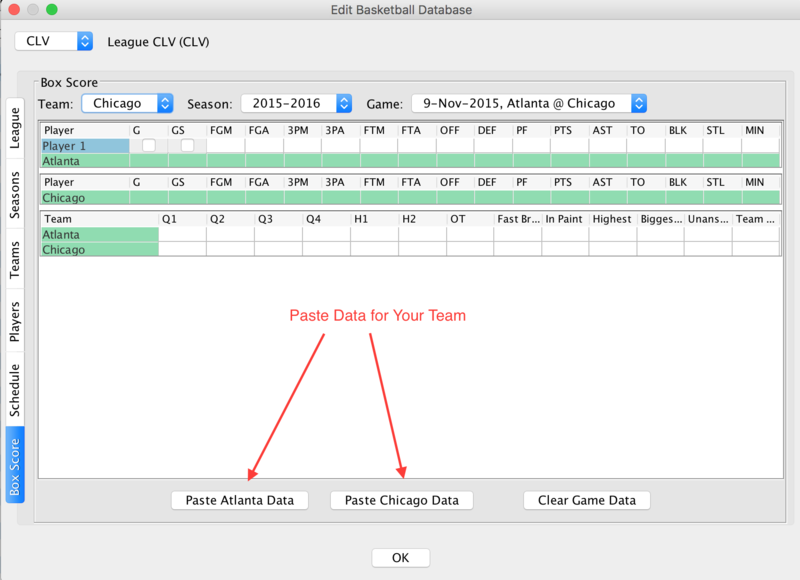 FastScout is designed to accept a wide variety of box score formats, although not all formats are supported. You will need to test your league's box scores to see if they will import correctly into FastScout. 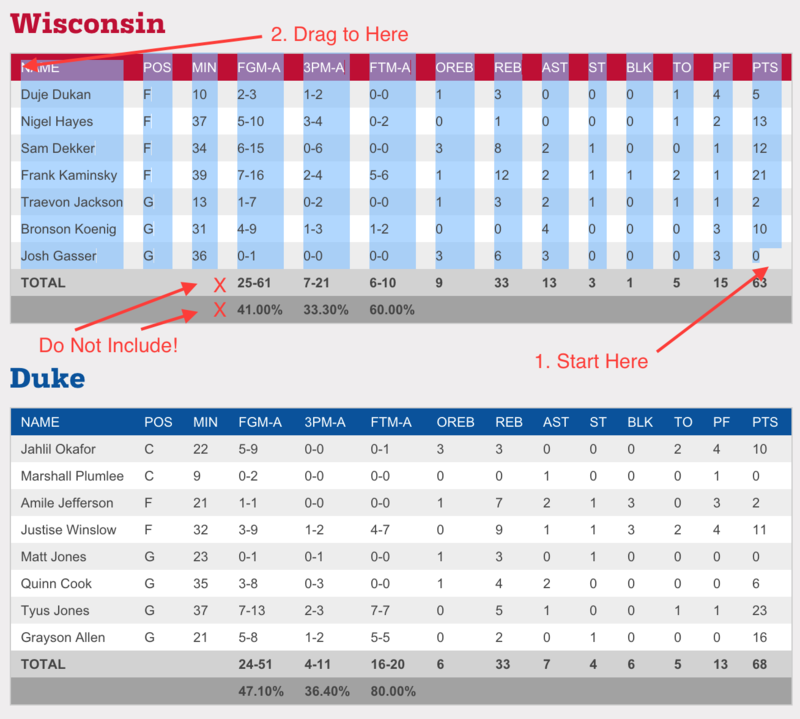 If your box score does not import each stat correctly, you may need to utilize a template in Microsoft Excel to ensure that your stats will import correctly. A sample template is attached here to get you started.